My skincare routine for most of my adult life used to be pretty simple. On the daily, I rotated between face wash, toner, and moisturizer with the occasional mask thrown in once a week. During pregnancy and into motherhood, my hormones shifted many times over and my skin was really taking its toll. In other words, I was stressed trying to do it all, therefore my skincare regime required more tender-loving care. My skin is mostly a healthy combination oily to dry, but mostly on the dry side. But over the past year, with a mix of diet, lifestyle change, and and a lot of self-care, I’ve finally developed a verified routine. And my skin thanks me for it. All I wanted was glowing skin. Now with the help of Kate Somerville products, I got a lot more than glowing skin. 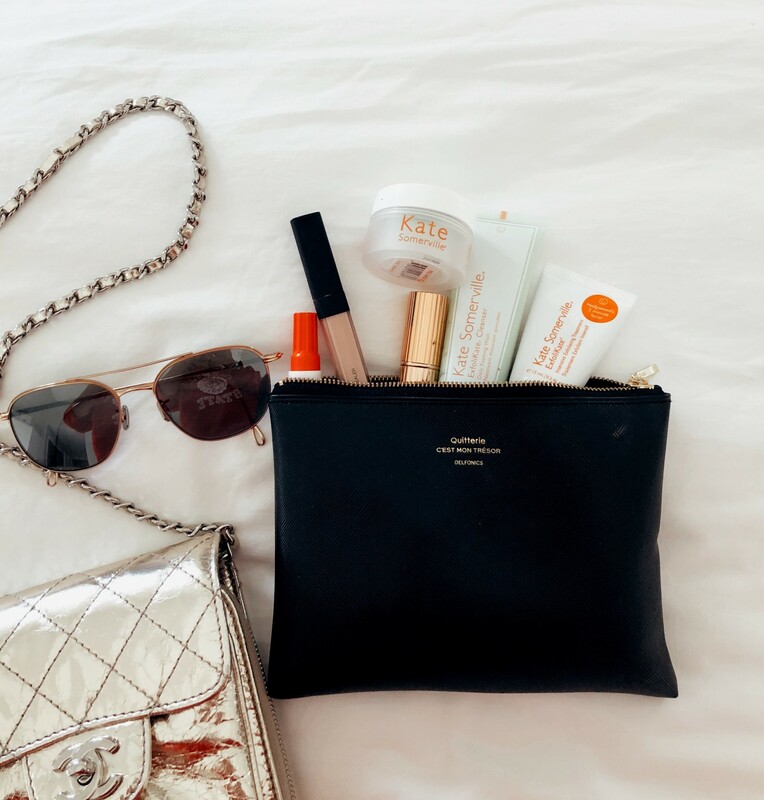 Her products have been a cult beauty favorite for a reason. Read on. When it comes to tackling issues regarding skincare, they don’t come much better than bonafide skin care legend Kate Somerville. With more A-list clients than you can shake a stick at (she’s been treating Hollywood’s finest for the last 25 years), her range of pioneering skin saviours is inspired by her treatments, dealing with all manner of skincare, from acne to fine lines, dryness and dullness. 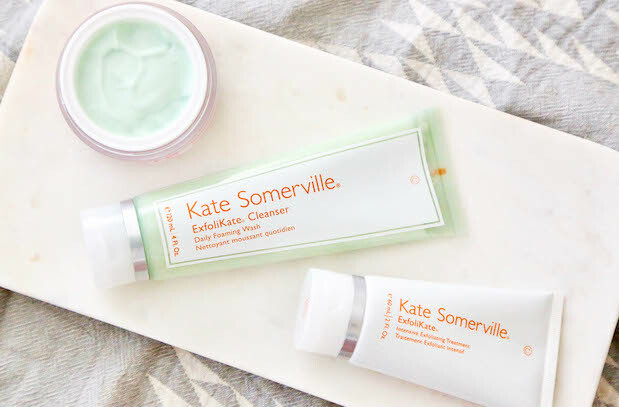 Kate Somerville Skincare is now a part of my daily routine. Her Los-Angeles based brand is well-known for delivering transformative results through both products and scientific treatments. The partnership with Plastic Oceans Foundation and becoming a greener and more sustainable company makes me like her even more. If you don’t have the time or the funds for regular facials, this is the next best thing. Did you know that the skin of your face can reveal quite a lot about your health? Maybe even more than you want it to. To most people, dry skin, acne, redness, or other skin issues are just products of the environment, or your genetics – so don’t worry that you’re spilling your secrets to everyone. But to a trained eye, certain skin issues can speak volumes about how you treat your body. Puffy eyes, dry lips, and just dullness tell us to change our habits. And fast. Not only does Kate Somerville heal people’s skin every day, but Kate realized herself that what she was creating may be harming the ocean. “That broke the link for me. I was part of the problem and now we need to solve this problem.That’s what we’re going to do at Kate Somerville. We’re going to rethink plastic, but we’re also going to help our industry and the families around us rethink plastic. A big part of that effort comes through this partnership and support of the Plastic Oceans Foundation.” The brand also has pledged to be 100% recyclable by 2022.